Imagine calling out song requests as if you had a personal DJ. And your best speakers would magically play whatever song you requested. In my house, voice control started as a novelty, but has become second nature to use – especially for music. It's just so easy to ask Alexa or Google Home to play music. But here at Crutchfield, convenience is only part of the story. We always ask ourselves: how can we get better sound? In this article, I'll show you how to integrate voice control into an excellent-sounding home music system. Amazon Echo and Google Home are the two most popular voice-activated speakers out there. They can answer questions, perform tasks, and even control lots of household devices. Just say “Alexa” for the Echo, or “OK, Google,” and their built-in microphones will start listening. Many of us use powered speakers as our main way to play music these days. Several leading audio brands have debuted smart speakers with built-in voice assistants. Sonos, Harman Kardon, and Ultimate Ears are among the brands that offer speakers with Amazon Alexa built in. JBL, Polk Audio, Sony and others bring you speakers with Google Assistant. 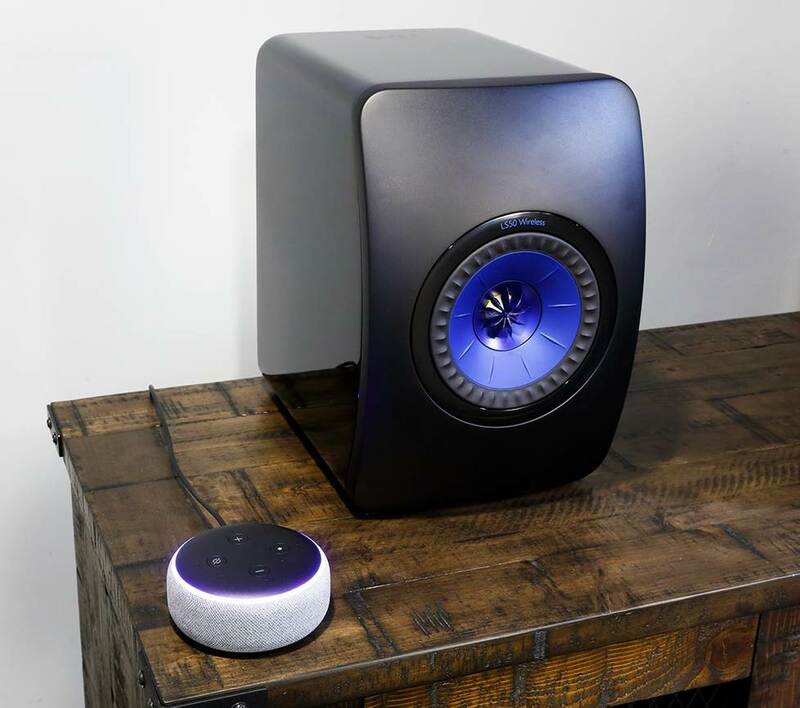 Read our article "Best smart Speakers for 2019" by Benn Grant. 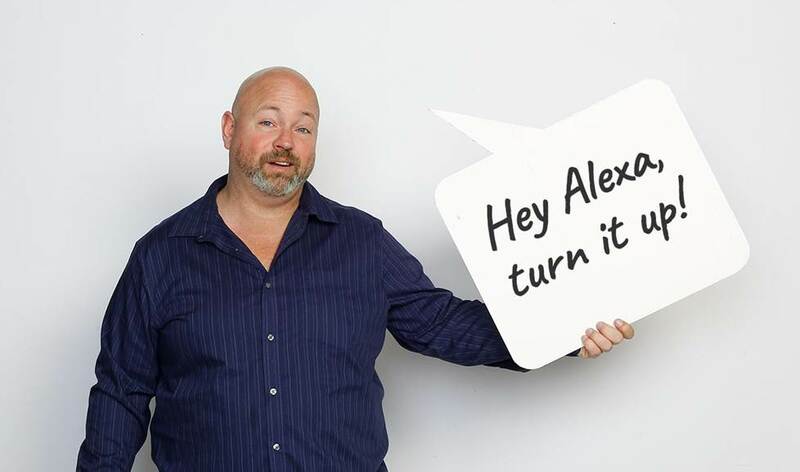 “I use Alexa to play music through my Sonos speakers," said Morgan, Crutchfield A/V Designer and our in-house voice control expert. "I love the new update that allows me to start music in the room I am in without having to say the room name. 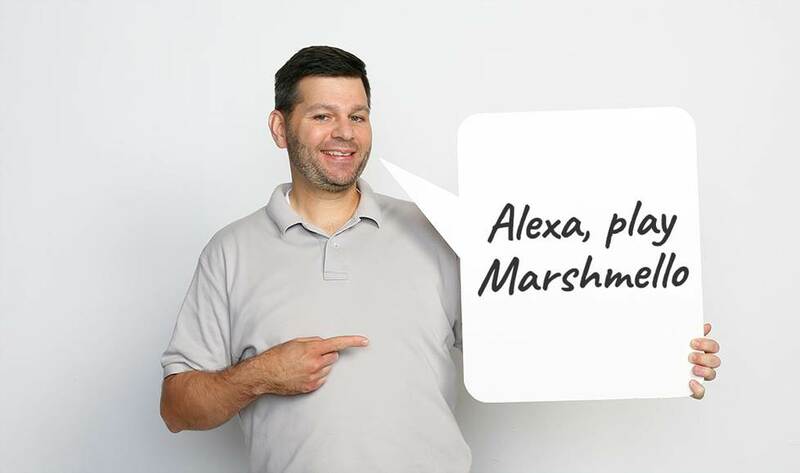 My kids love Marshmello, the DJ, and I used to have to say, ‘Alexa, play Marshmello in the kitchen.’ Now I can just say, ‘Alexa, play Marshmello.’ "
So how do you play music with these devices? Both Google Home and Amazon Echo are compatible with music services like Spotify® and Pandora®. Use the Amazon Alexa app or Google Home app to choose your music service(s) of choice (it's the same app you use to set up the device). When you set up you Amazon Echo (or Google Home), you can link the device to compatible music services. 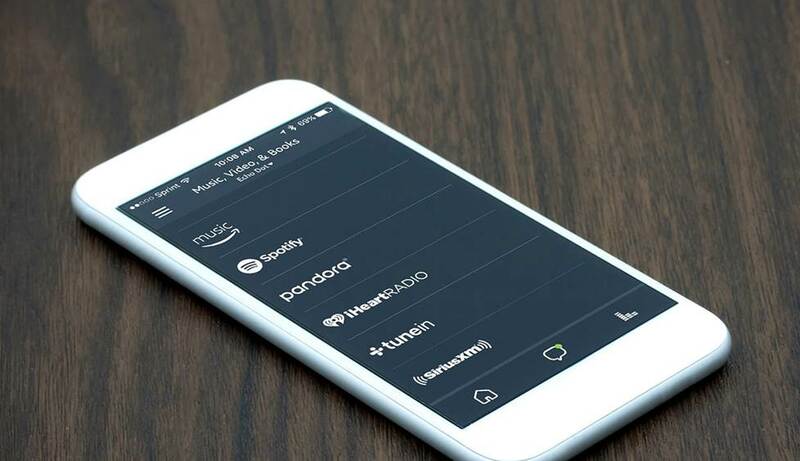 Once you link a music service to your device, then you’re free to ask the speakers to play what you want. For instance, I keep a Google Home speaker in my kitchen. So when I'm doing dishes, it's as simple as saying, “Hey Google, play some Clapton!” And an Eric Clapton playlist will play through the Google Home's built-in speaker. Both Google Home and Amazon Echo devices have built-in speakers. But our customers are always interested in better sound. Read on to learn how to connect these products to external audio gear. There are a couple of ways to get bigger sound from Amazon Echo. 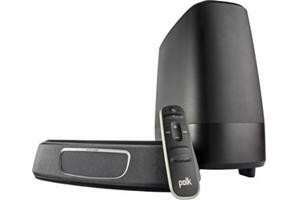 It offers wired and wireless connectivity. And it will work with just about any receiver or integrated amp, as well as a wide variety of powered speakers and sound bars. With any connection, all audio — including Alexa's responses — will play through your connected speakers. The tiny Amazon Echo Dot has a 3.5mm or minijack output. That means you can connect it to any receiver, integrated amp, or powered speaker with an AUX input. Just use a mini-to-RCA cable, or a mini-to-mini cable. 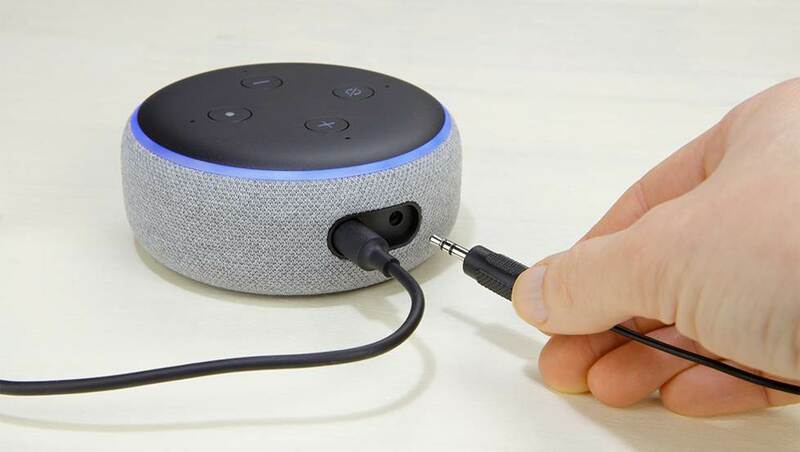 The Amazon Echo Dot has a minijack AUX output for connecting it to a wide variety of external audio equipment. All Amazon Echo devices feature a built-in Bluetooth transmitter. 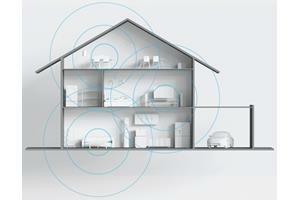 That means you can send audio wirelessly to any Bluetooth-enabled speaker, sound bar, or home theater receiver. This made for a clean setup when we paired an Echo wirelessly with the powerful KEF LS50 Wireless speakers. I found it more convenient than a wired connection. You can sit in your favorite chair and request songs without having to shout across the room to where your speakers are set up. The Amazon Echo Dot can connect wirelessly via Bluetooth to powered speakers like the KEF LS50. There are now some home theater receivers with basic Alexa functionality. You’ll find it in receivers that feature certain multi-room audio systems: Yamaha MusicCast, Denon HEOS, and Bluesound. At the moment, these receivers only offer basic Alexa voice commands like play, pause, skip, and volume control. But, more features are promised soon. If you’re shopping receivers and have questions about what you can or can’t control by voice, contact us and we’ll break it down for you. "Hey Google, play Drake in the den"
The Google Home voice assistant uses Wi-Fi to connect to other audio gear. To super size the sound, you'll need gear that has Google's Chromecast audio built in (also known as Google Cast). Fortunately, there are lots of products to choose from. There are several home theaters with Chromecast built-in. Those are great choices for adding Google Home to your main system. I used the Google Home app to set up the voice assistant to play audio wirelessly through my Polk Magnifi Mini sound bar. Once the Google Home and sound bar were linked, I renamed the sound bar "den" in the app. That's a lot easier than using the full product name when telling Google Home where to send my music. Then I was ready to listen. When I called out a song title or playlist, the music played through the sound bar. I could also skip tracks, and even control the bar's volume — all by voice. Very cool! Voice control in home theater receivers is currently pretty much limited to music playback. As a write this, you can’t switch inputs or control video by voice with only your receiver. But Harmony’s Hub-based remotes work with Google Home and Alexa – and give you more functionality. Many of our Advisors have a Harmony Hub in their homes. With one remote you control your whole home entertainment system and smart home components like lights, locks, and more. And with a Google Home or Echo device you can control it all, hands-free. The beauty of these voice-assistant devices is that they are always learning new skills. As more products incorporate voice control, we’ll keep trying them out. And we’ll keep you updated. You can call us at 1-888-955-6000, or contact us by email or chat. Our Advisors stay up to date with this stuff — and of course, many use Google Home or Amazon Echo in their own homes. Hi I have plugged in the echo for to my receiver however it is really quiet compared with the CD or radio. Plugging it into the record (phono) it is slightly louder is this ok? Would plugging in Alexa to my stereo receiver auxiliary require the receiver to be left on constantly, or require turning on the receiver to play music. Or does Alexa have the capability to turn on the stereo? Also, I have a Chromecast currently connected to the receiver to play Spotify (which disconnects frequently). Between the two methods do you have an opinion on which is the better way to connect? Hi Matt, If the only connection between the Echo device and your stereo is through Aux input, Alexa won't be able to turn the receiver on and off. 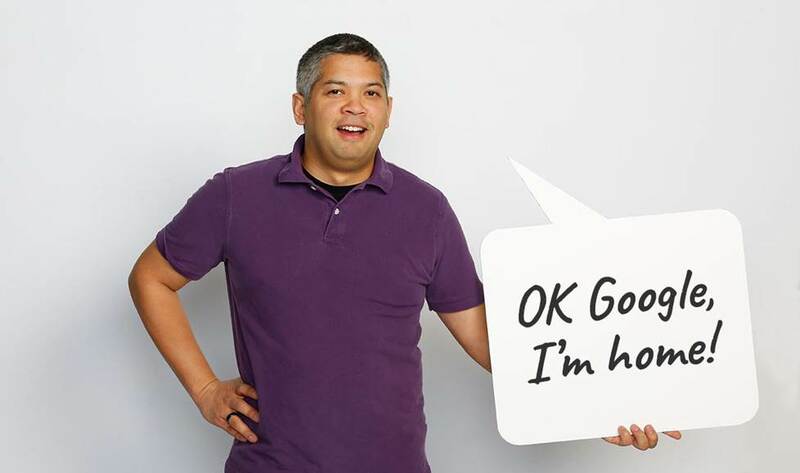 There are ways to make that happen -- adding a Harmony Hub to your setup comes to mind -- so I'll forward your question to an Advisor to follow up with you directly. Yes, well....this article doesn't really fit the title. How-to implies there are instructions on how-to make it work. I have several app-enabled stereos and an alexa in every room. 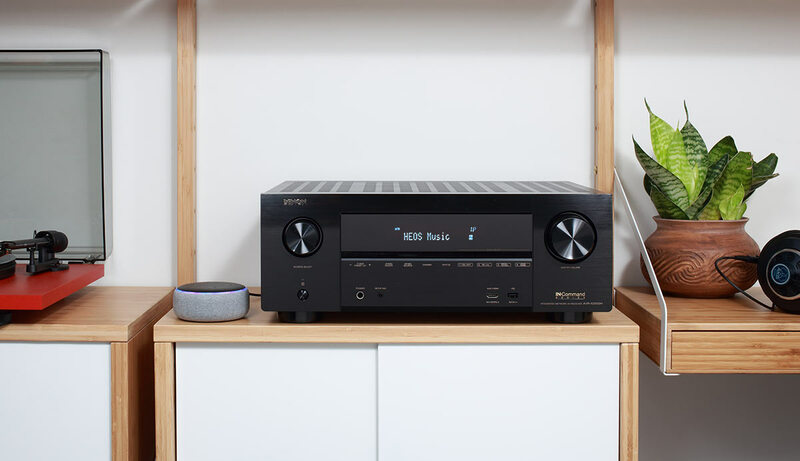 It is easy to connect alexa to a stereo via Bluetooth, but much more efficient to be able to control the output volume through the stereo rather than the input volume through Alexa. I would rather tell alexa to turn the volume up on my pioneer VSX than have to open the icontrol app on my phone or dig through the remotes. Some detail on that process would be appreciated. Thanks, Scott. Point taken. We're working on an update to this article that will address some of those multi-room apps that are compatible with Alexa. In the meantime, if you got any of the gear in your setup from Crutchfield, give our Tech Support team a call -- they should be able to help. Very good presentation and great information thank you and have a good day!